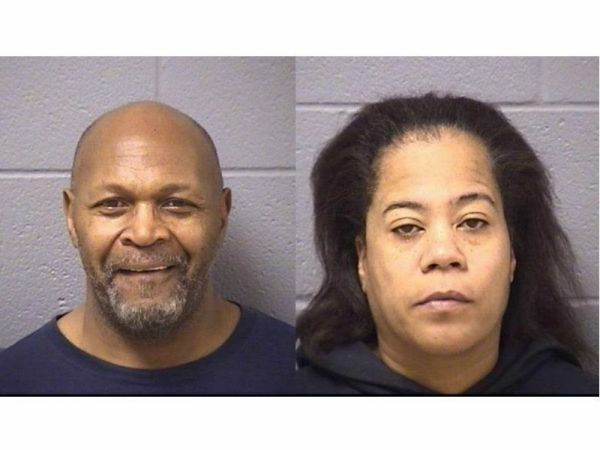 JOLIET, IL — A Joliet man pulled a knife on two supermarket workers when his lady friend got caught on the way to their getaway car with a cartload of stolen pampers, police said. Felisa Dawson, 42, rolled a shopping car loaded with four large boxes of Pampers out of the West Jefferson Street Jewel shortly after 4 p.m. Friday, police said. A security guard reportedly stopped her, but while he was escorting her back into the store, her male companion, 58-year-old Robert Smith, tackled him from behind. Smith had been parked in the fire lane waiting for Dawson, police said. While Smith and the security guard were on the ground scuffling, Dawson punched the Jewel worker twice, police said. A second Jewel employee arrived to lend a hand and Smith produced a knife, police said, then started swinging it at the two workers. Police said on September 1, William Hudson, 46, was shot at 14 times while working as a security guard at the Norcross Extended Stay Motel. Kyrgyz officials say the man whose name and passport have been circulated in Turkish and Italian media, as well as widely on social media, as the possible perpetrator of the New Year’s Day massacre at an Istanbul nightclub is not a suspect in the case.